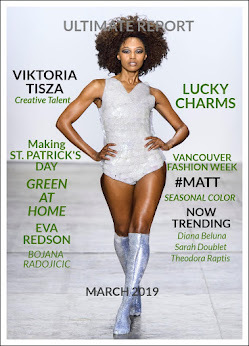 Spring is the perfect season to talk about wedding planning and if you are a bride-to-be or simply a girl dreaming about her big day, this is the perfect article to read. 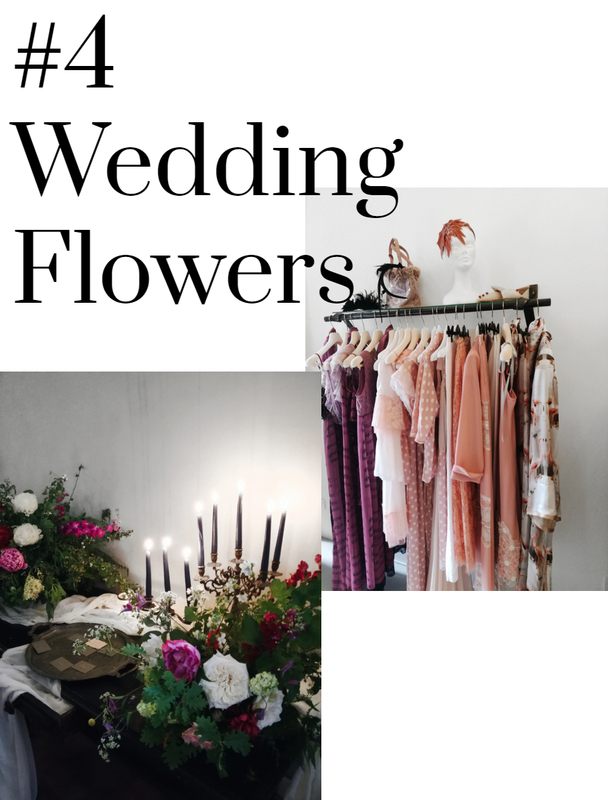 Recently I attended a wedding themed event at Antonella Rossi boutique opening here in Rome and I got inspired to do some research about wedding essentials, so today I'm gonna share with you some places, tips and ideas for your big day. 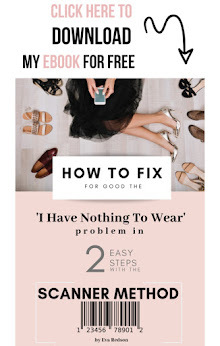 We all know that finding the perfect dress for the wedding is one of the most important things and even if there are lots of brands that sell beautiful dresses it is quite challenging to find the one that fits both the bride body and personality. 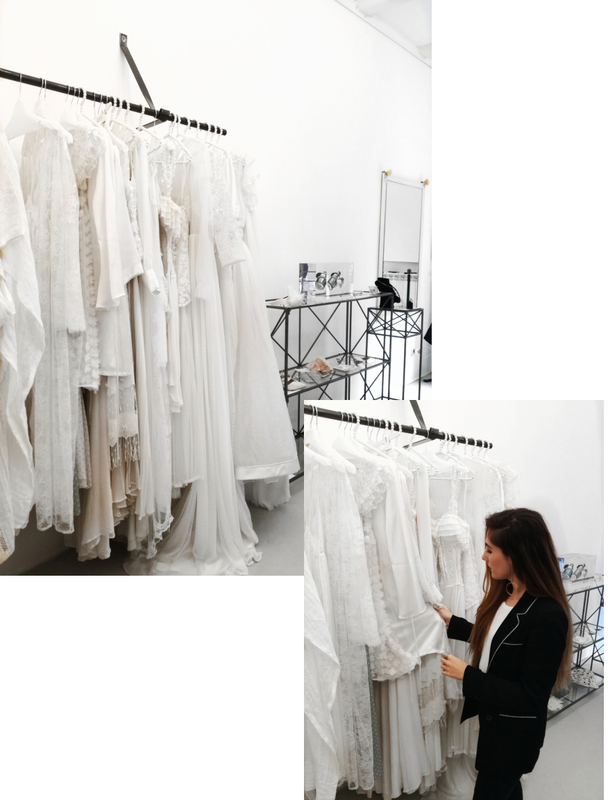 By attending Antonella Rossi boutique opening in Rome's city centre, I discovered an amazing selection of made in Italy wedding dresses as well as haute couture creations and I litterally fell in love with Antonella Rossi's new line inspired by lingerie style and based on flowy and dreamy textures. 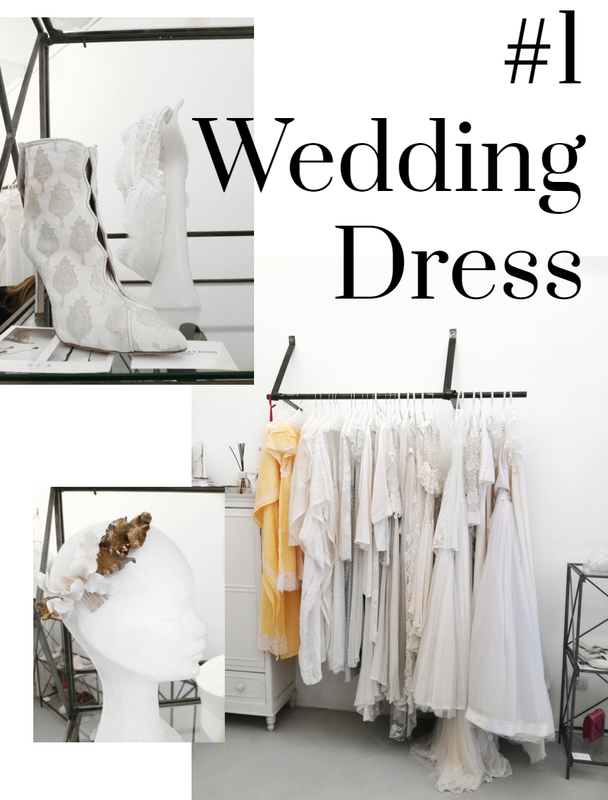 To get the perfect wedding look, in the shop are also available to buy shoes, jewels and accessories created by brands such as Rea, Taala and Cristina Bombardi. 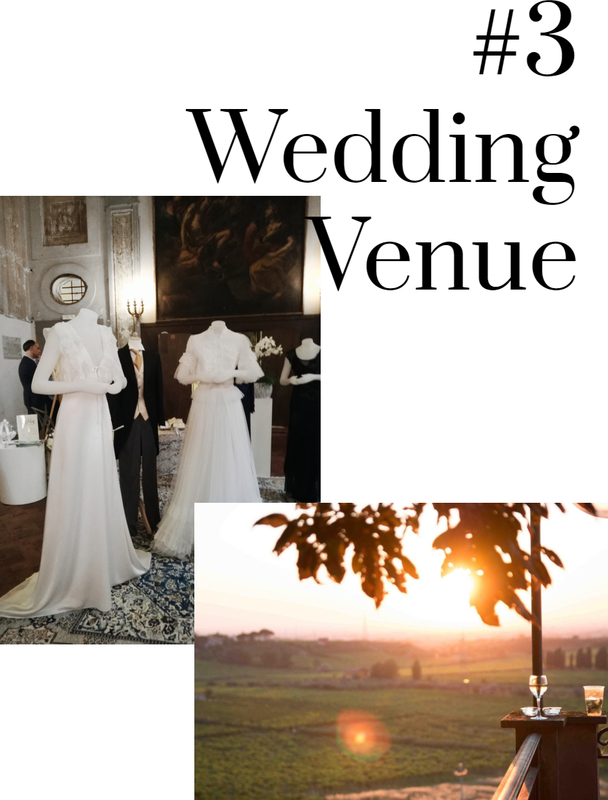 If you are Rome based or planning your wedding in the eternal city, make sure to visit the lovely Antonella Rossi at her own atelier in Via Giulia 108/109 to get made to measure advice. To organize an entire wedding by yourself is a crazy task, so that's why it is super important to have someone who helps you through the entire process and it way better if that someone is a professional. 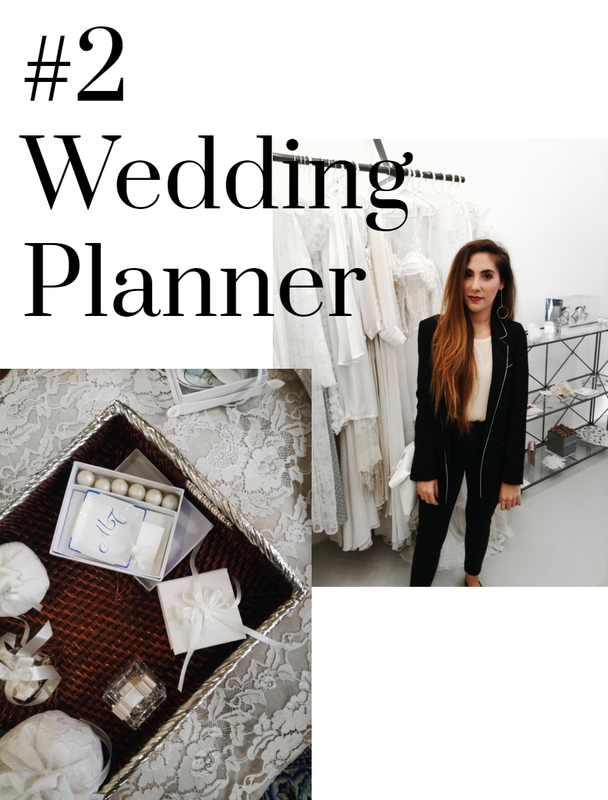 At the same event I mentioned before, I also had the chance to meet the gorgeous Michela Papocchia, she works at Rosmarie&Miki Chic Events and she takes care of the entire wedding planning process, including wedding gift bags, seating charts, confetti and more. Another tricky task is to find the perfect wedding venue and it all depends on what's the theme and mood you chose for your big day. If you are an Italian high quality wine lover and you also decided to get married in Rome, a great option can be Marumalia Wine Resort. Merumalia resort is a magical location in Frascati with vineyards, farmhouse, winery and terraces surrounded by nature with a stunning view of Rome. Instead, if you are a country lover and you are planning to get married in the USA, Avery Ranch Golf Club in Austin Texas can be the perfect place for you. Avery Ranch Golf Club is a great location with an amazing view of both Bushy Creek and the golf club, and it also offers a huge range of wedding packages that you can choose from according to your needs. Check out their website to discover more (golf course wedding venues near me). Choosing your flowers can be one of the most fun and exciting parts of wedding planning. Floral arrangements are always beautiful but there are a lot of aspects that can determine what will work best for your wedding and it is very important to hire talented professionals. At Antonella Rossi event, I also discovered Anthea Studio, a floral design studio that is able to create the most beautiful flower displays and arrangements for you. I hope you enjoyed my "Wedding Planning Essentials" article and that you found some inspiration for your future wedding. Also, in the comments down below let me know which are your go-to tips for the perfect wedding day and share with me your experience if you already got married! I wish I was getting married soon, such a dream! my dear, super interesting tips!!! These are wonderful tips for creating the perfect wedding! It's so much fun to plan. Glad you liked my post Kat! Great wedding essentials. I wish I had a wedding planner, I'm sure it would have made my life easier. Sono già sposata, ma è davvero bello il tuo articolo! Great essential guides here. Very helpful Eva! Thanks for sharing. 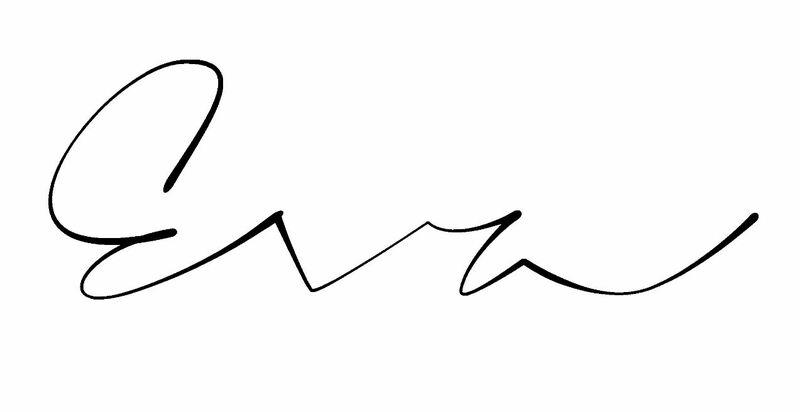 Fantastic post with a lot of useful information, it gives me a lot of ideas. Thanks for the ideas. Kisses lovely, have a nice day. Hey Alicia, thank you very much! Hey Gabrielle :) Yes, I tollay agree with you! Wedding planning sounds fun for me but it can be hectic sometimes! I really love this post my dear!!! Amazing post dear! So interesting tips! 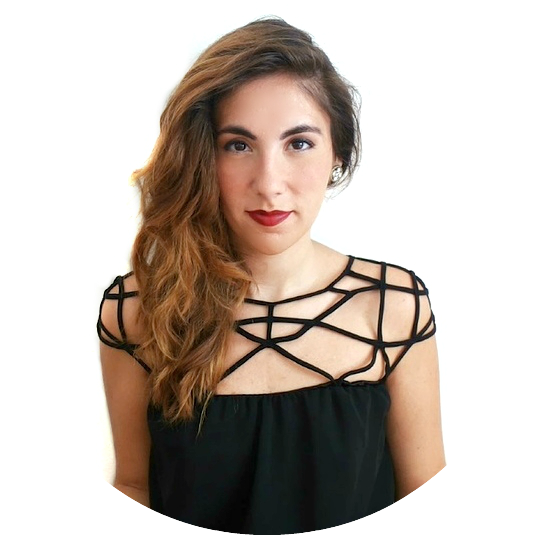 Very interesting and worth trying, these tips by wedding stylist Sydney will help.